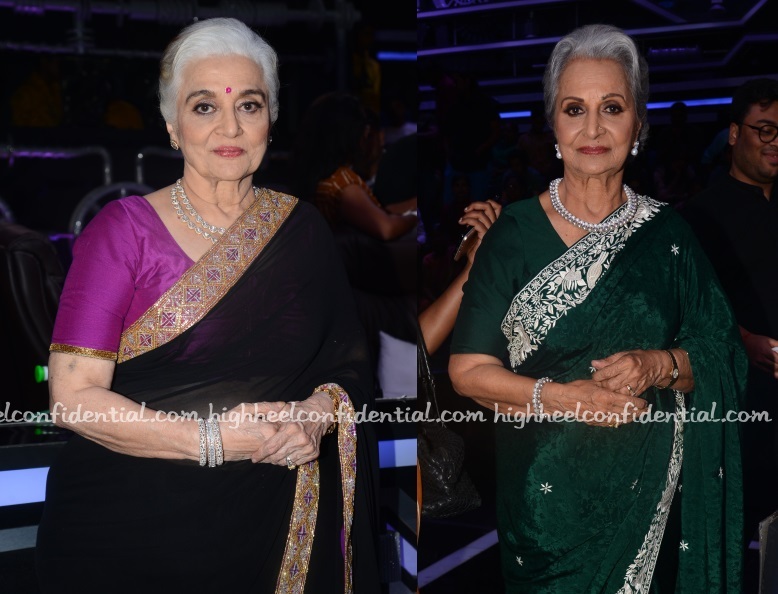 Asha and Waheeda visited the sets of Super Dancer for a taping on Monday where the former was seen in a black Abu Jani Sandeep Khosla sari and the latter in a green Ashdeen one featuring parsi gara. 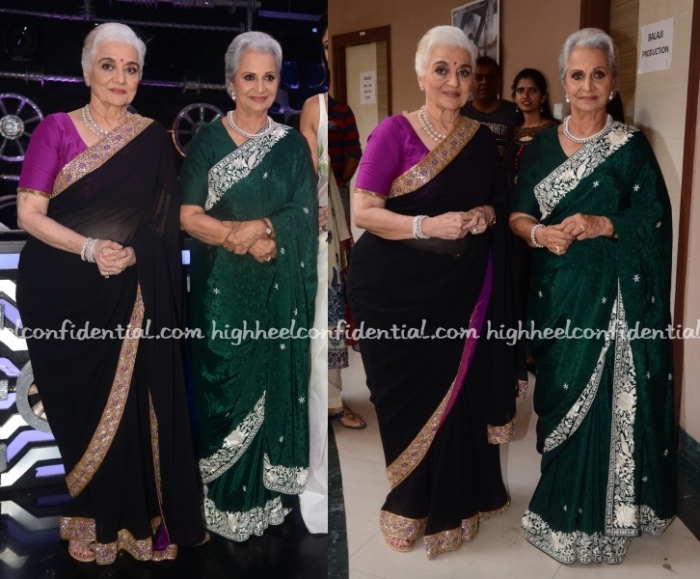 They both looked oh so lovely! Alia visited the Super Dancer set wearing a peach Anita Dongre sets with chand baali style earrings. She looked lovely.